Women have always supported women with birth. They may not have been called doulas, they were the birth companions, the birth keepers. One would bring practical support. Food and drink. Another would bring spiritual comfort. Another emotional support. And another would be there to help the mother catch her baby. Women have given birth since the dawn of time and birth has changed. Now we live in a world of technology. We watch life saving measures become standard care. The pendulum has swung from woman centred care towards medicalised birth, where sometimes women are not seen as much more than vessels. Fortunately we have moved away from the days where women are chloroformed and subdued whilst they wait for doctors to return and ‘deliver them’ of their babies. Fathers have entered the birthing room and women no longer have their pelvises cut to help babies out. One might imagine with the modern day advances, birth would be safer for women and babies. In some ways it is. But that rise in caesarean sections needs to be looked at. How have we gone from 3% to upwards of 36% in some London hospitals? Is it really true that more than a third of women are unable to birth their babies? Have the interventions improved birth, or caused more harm than benefit? What are the studies saying? What are the women saying? Over the ten years that I’ve been doulaing I have seen a rise in inductions, caesarean births and medicalised births. What I’ve also seen, particularly over the last few years, is the rise of midwives and obstetricians who are more woman centred in their care. I spend time talking with 3rd year midwifery students and listen to their passion and desire to be like the birth keepers of old and their desire to spend more time with women. We live in an amazing time of technological and scientific advance. These things don’t replace our natural selves. They should complement and walk beside us. A woman asking questions and wanting the best for her body, her baby and her emotional health, these aren’t bad things. 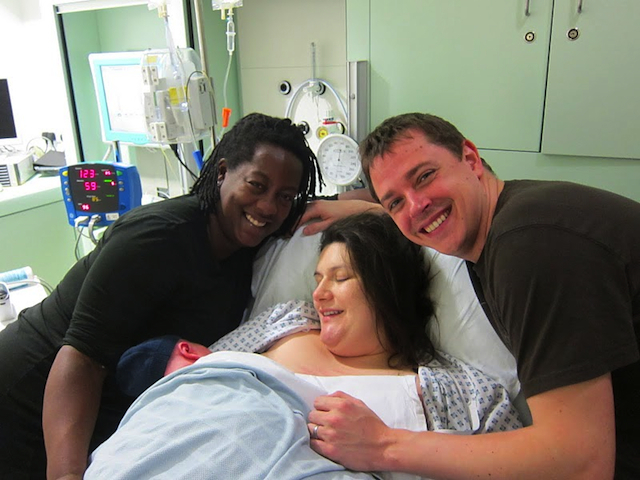 Birth is about the mother, the baby, the partner, the doctors, the midwives and the doulas. The birth keepers. The baby catchers. We walk together looking at birth in all her glory. It’s not about scaremongering or shaming. It’s about wanting the best for each of us, and having given women the right to choose, to stop denouncing their ability to make informed decisions about what is potentially, the most amazing moments of their lives. I’ve been a busy doula for over 10 years now. It’s funny how it happened. A friend was having an aromatherapy party and I overheard her telling someone that she had become a doula. I was intrigued. I asked her what a doula was and she told me, ‘simply put, a professional birth companion’. I’d been at the birth of my niece and the birth of a friend’s son. I figured that I could do this. So I went on Michel Odent and Liliana Lammers course, Paramana Doula. Wow! Who knew how much went on within birth, the amazing physiology of it. I arrived home wanting a sixth baby, but as I put the key in the door, I remembered that my quiver was full. So what started off as a simple conversation has become a hugely fulfilling career and life passion, where I get to spend my days (and nights) supporting women and it shows no sign of abating. A fad? I don’t think so.